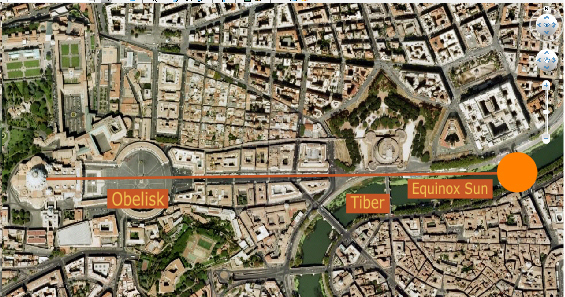 A similar symbolic view occurs at the Vatican: viewed from the Vatican at the Equinox sunrise the obelisk aligns with the Sun over the Tiber River, again symbolizing the Sun on the Milky Way! Equinox Sun over the River Tiber. 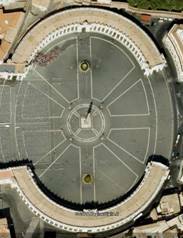 St Peter’s Square contains the eight-pointed cross symbol of the Great Celestial Conjunction. On the Key of Solomon website, Herschel presents an image looking east from the Vatican on the night of December 25th`. The Pope is standing on his balcony watching the night sky. Wayne has suggested that the Seven Hills of Rome represent the Pleiades, a sharp observation that both authors agree with. In his picture, Herschel has placed the Orion constellation, or his rendition and interpretation of the eight-pointed cross, exactly over St. Peter’s Square where the eight-pointed cross occurs. Orion now resides perfectly East. The problem, however, is that the Pleiades now also reside East instead of over the Seven Hills of Rome! When Herschel’s picture is corrected and the Pleiades are shifted to their correct place in the sky over the Seven Hills, a completely different result is obtained. Now, the Silver Gate resides perfectly East! The Silver Gate is of course the place where Solstice Sun crosses the Milky Way. 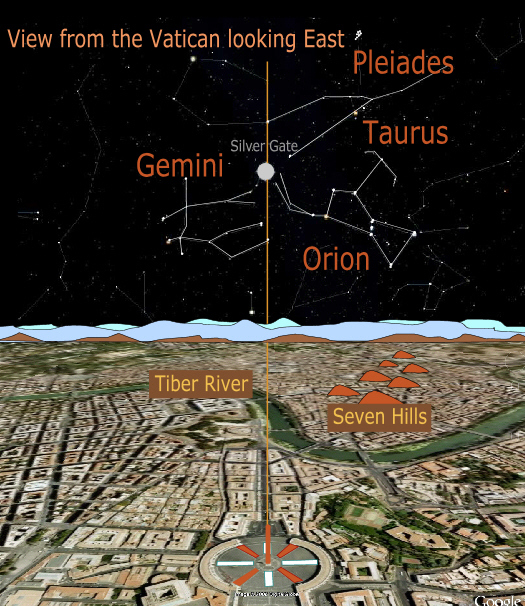 Notice how all of the symbols of the Great Celestial Conjunction align: the Pleiades are now correctly found above their symbolic Seven Hills, and the eight-pointed cross of St. Peter’s Square aligns with the Tiber River and the Silver Gate! St. Peter’s Square, when the Pleiades are placed correctly over the Seven Hills of Rome, the Silver Gate resides perfectly East and aligns with the eight-pointed cross on St Peter’s Square.